ASIN stands for Amazon Standard Identification Number. 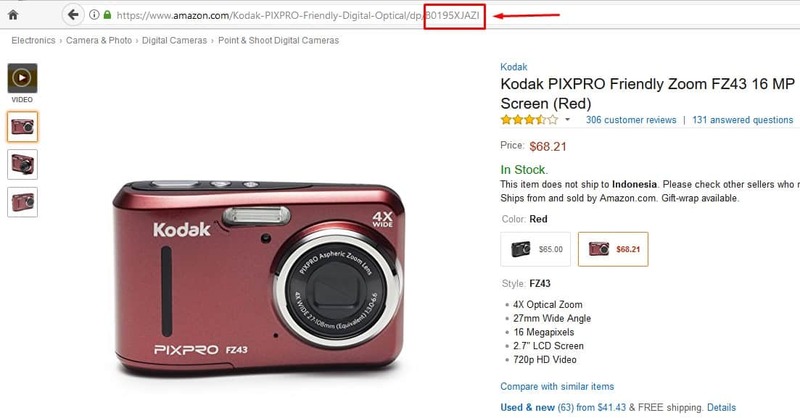 Amazon Standard Identification Number is a 10 digits number consisting of combinations of letters and digits used by Amazon for product identification on the catalog. Every particular product or product variation has a unique ASIN that is always associated with it. ASINs are used to create and manage retail product catalog on Amazon. These numbers are also used to classify the items sellers offer. If you are a seller on Amazon, one of the first steps you will need to take is to identify the right ASINs for your products. ASINs are of immense benefit for all parties involved on Amazon ranging from the owners of the marketplace to sellers to buyers. On Amazon.com, ASIN is used as reference catalog data to track products’ inventory and index catalog pages for search. ASINs give customers advanced and easy to use search options. This allows converting buyers to easily select and trim down the list of products they are looking for by putting in the product description. Buyers can find the particular product they are looking for. Sellers are the greatest beneficiaries of ASIN. As a seller on Amazon, you need to ensure that the ASINs you use are the correct and appropriate for your country. This is because every country may have its own ASIN for a particular product. To list or add any products on Amazon, there is a need to first find the right ASIN Number. There are different places where you can locate an ASIN Number this includes product web address, product description or readymade ASIN finders/software. In this article, we have used Kodak PIXPRO Friendly Zoom FZ43, a 16 MP Digital Camera with 4X Optical Zoom and 2.7″ LCD Screen (Black Color) as a case study. This is the fastest and easiest way to locate a product’s identification number on Amazon. All you need to do is simply look on your address bar, and you will see the ASIN immediately after the product name. 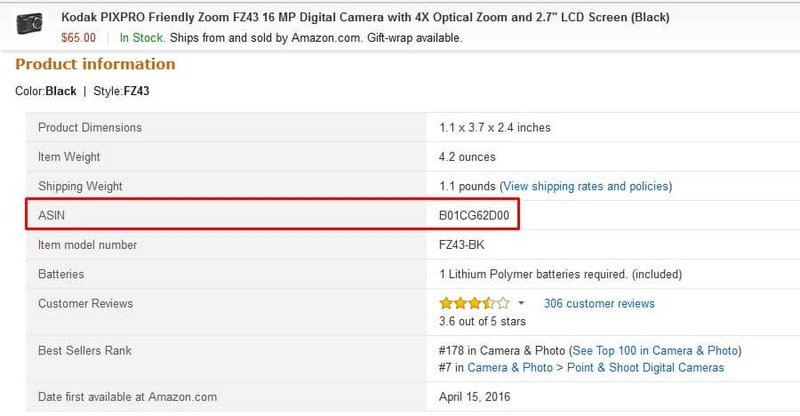 The circled part of the picture below is the ASIN number of the product displayed. The second and another important place to find a product’s ASIN is in the product description. The product description is located towards to page of the product. This process is often times taking and demanding as you would have to search for every product you want to sell in the marketplace. There are state-of-the-art software that is designed for searching and finding Amazon Standard Identification Numbers. These software or tools come into play when you have thousands of products to search. Web address and product description can take longer time to search. ASIN finder software can get thousands of ASINs with just a click. There is a lot of free and premium software you can use to search for bulk ASINs.